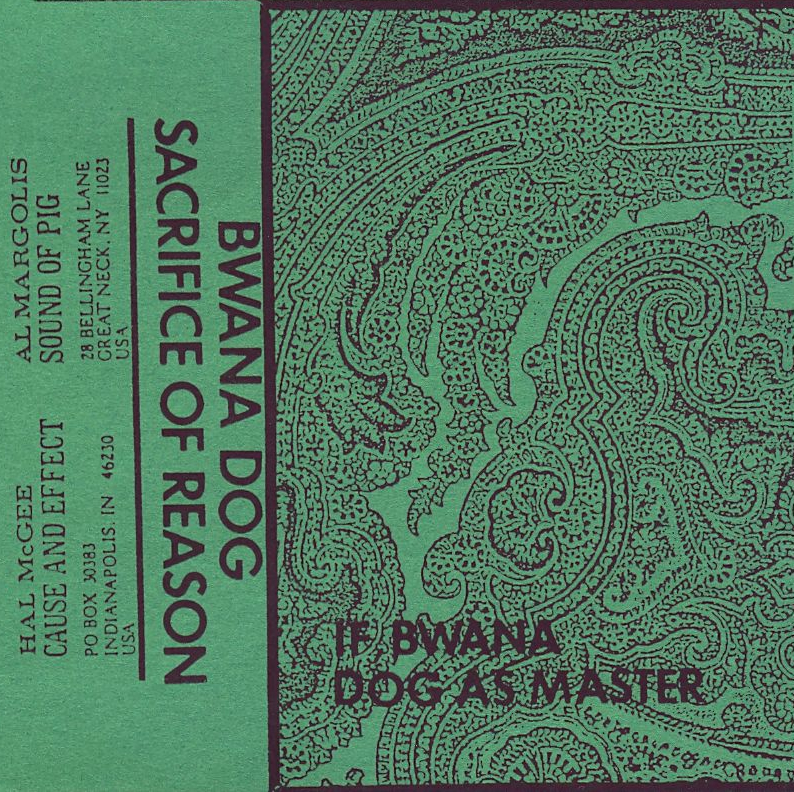 Sacrifice Of Reason was a mail collaboration work of Bwana Dog - Al Margolis (If, Bwana) and Hal McGee (Dog As Master), recorded Summer 1987. 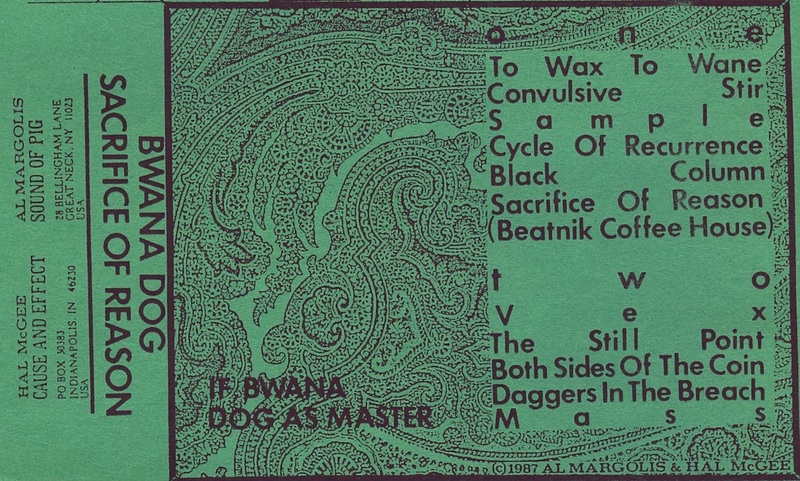 Originally co-released by Sound Of Pig Music and Cause And Effect. Dark ambient industrial experimentalism with a touch of psychedelia. Samples, synthesizers, voice, bass, electronics.